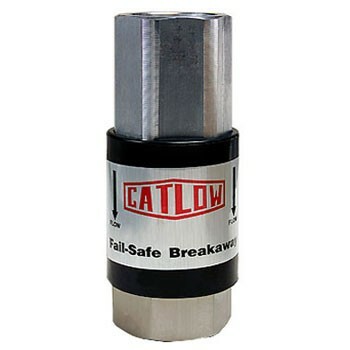 The Catlow IVC200S Fail Safe Inverted Vac Assist Snap-Back Breakaway is designed for use with Stage II Vapor Recovery Systems. Delivers reliable, trouble-free service. This breakaway has a 300 lb. breaking force. The Cam Twist is Catlow's revolutionary magnetic inspectable breakaway. 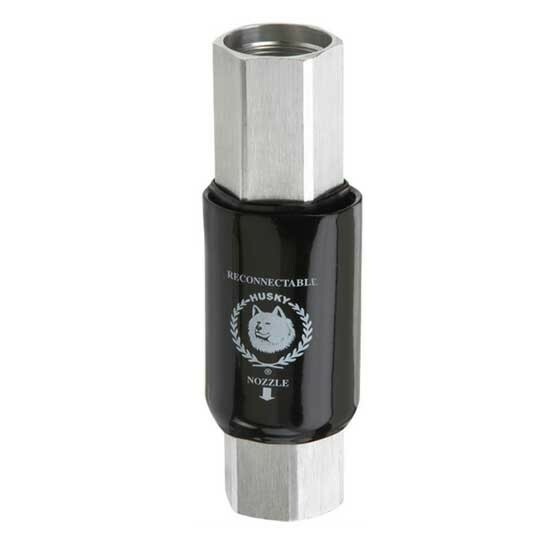 With the ability to separate and inspect, you have the assurance that your breakaway will perform when you need it the most, and thus eliminating the need for a "Remove By" date. The Husky 4034 Vac Assist Vapor Recovery Breakaway with Vapor Valve stops fuel flow on both sides of the separation. Separates at less than 200 lb. force. Reconnects with 10 - 12 lb. force. The Husky 6210 Non-Reconnectable Vac Assist Vapor Recovery Breakaway with Vapor Valve stops fuel flow on both sides of the separation. Separates at less than 200 lb. force. 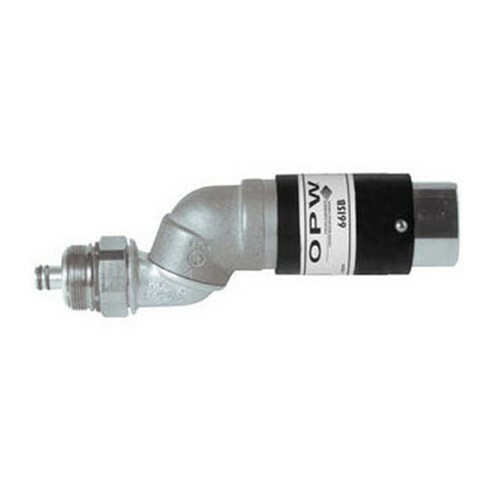 OPW 66CAS-0300 Dry Reconnect Inverted Vac Assist Breakaway is designed for use with Stage II Vapor Recovery Systems. This breakaway has a 300 lbs. breaking force and requires only 15 lbs. of force to reconnect. 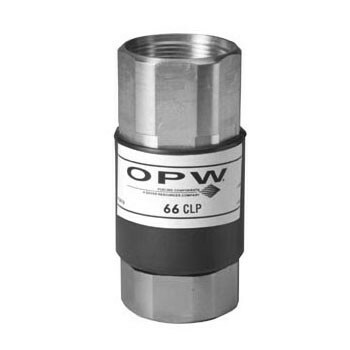 OPW 66CLP-5100 Vapor Poppeted Reconnectable Balance Breakaway is designed for use with Stage II Vapor Recovery Systems. This breakaway has a 300 lbs. breaking force. 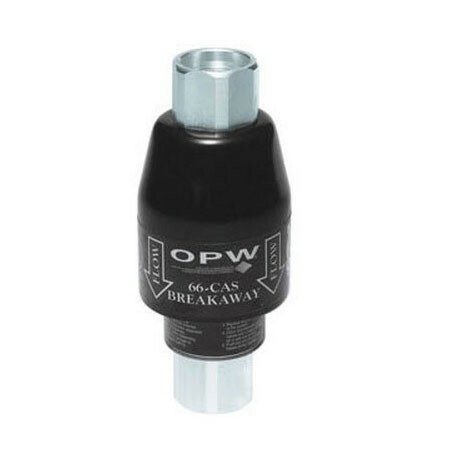 OPW 66ISB-5100 Vacuum-Assist Stage II Vapor Recovery Reconnectable Swivel/Breakaway provides customers with the convenience of a 2-plane swivel and the added safety of a breakaway. 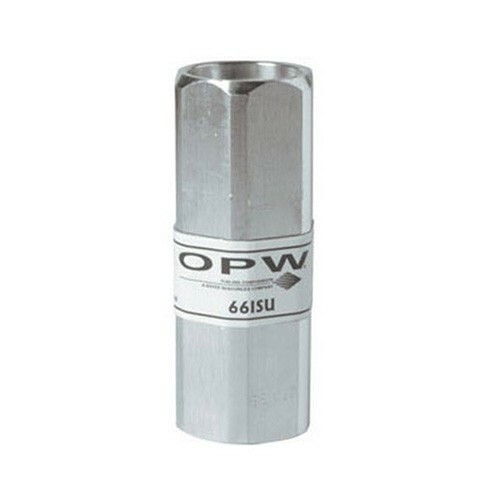 The OPW 66ISU-5100 Single Use Vapor Recovery Breakaway is designed for use with Stage II Vapor Recovery Systems. This breakaway has a 300 lb. breaking force.